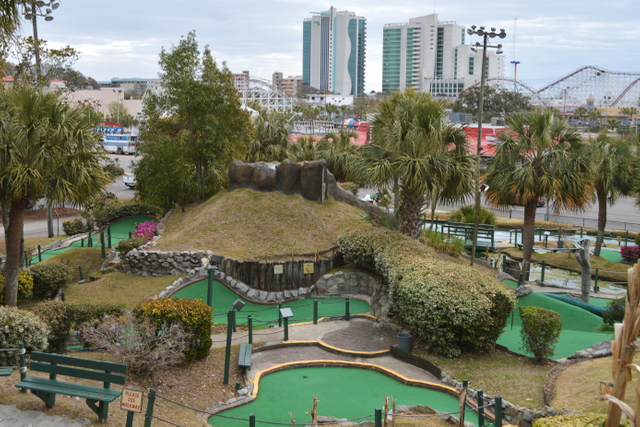 The most beautiful and challenging mini-golf course in South Carolina . 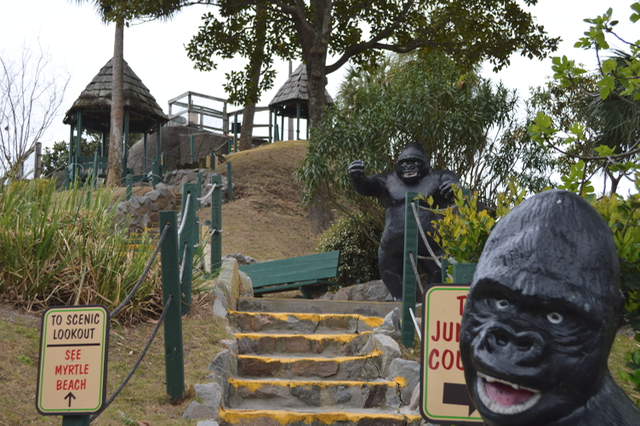 Visit our lovely setting and stroll in beautiful, lush tropical greenery and breathtaking, tropical flowering plants. 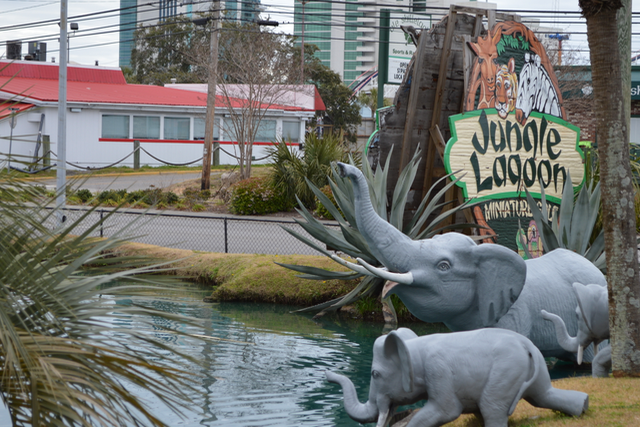 Children will enjoy the waterfalls, caves and large number of life-like animals. 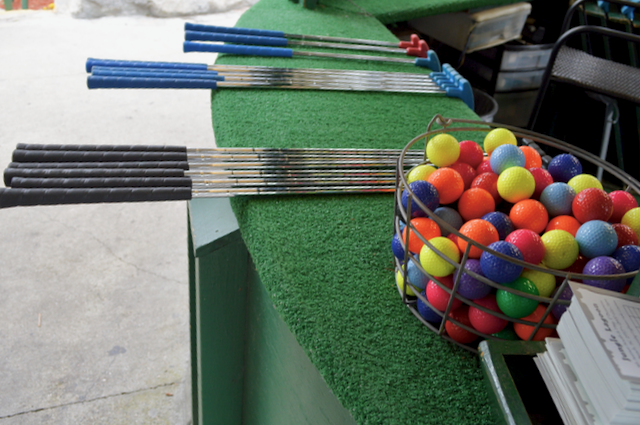 There are two eighteen-hole courses to sharpen your putting skills, and many opportunities for the perfect family vacation photo. Group rates are available. Print out a coupon or show it from your phone. Click on image to enlarge.